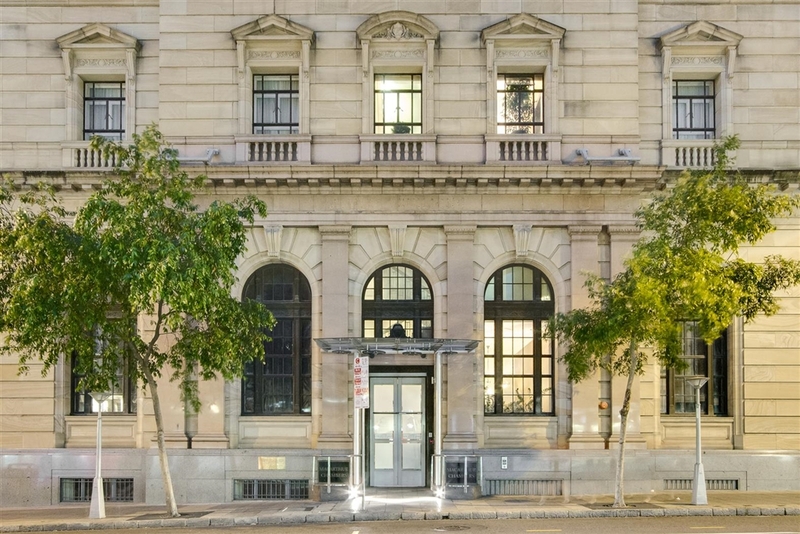 A stunning sandstone building, MacArthur Chambers was constructed between 1931 and 1934, and was originally headquarters for the Australian Mutual Provident Society. However, the building became an important part of Australian history when in July 1942 American General Douglas MacArthur - Commander-In-Chief of the Allied Forces for the Pacific Region - moved to Brisbane and commandeered the premises as a base to conduct the crucial Pacific Campaign of World War II. And so the building came to be known as MacArthur Chambers. In keeping with this remarkable history, a permanent memorial featuring General MacArthur's original office is open Tuesdays, Thursdays and Sundays from 10am-3pm. 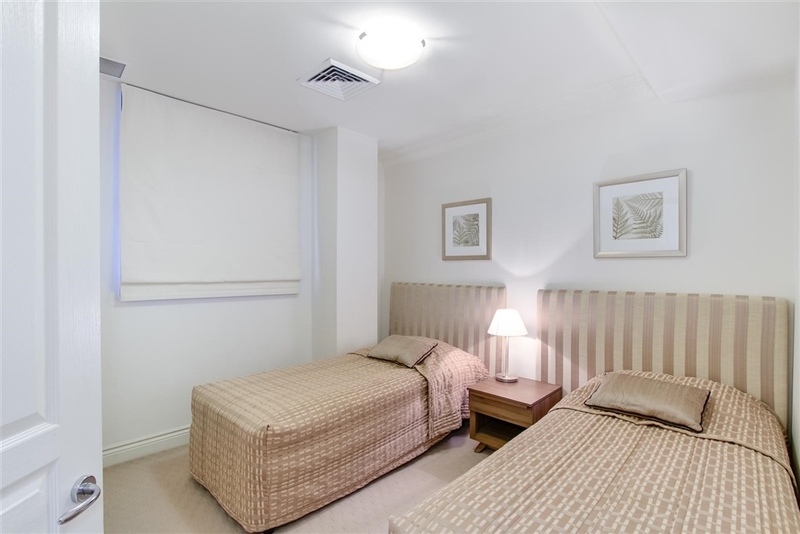 Located in the heart of the city, MacArthur Chambers ... Brisbane holiday apartments occupy one of the city's prime positions. 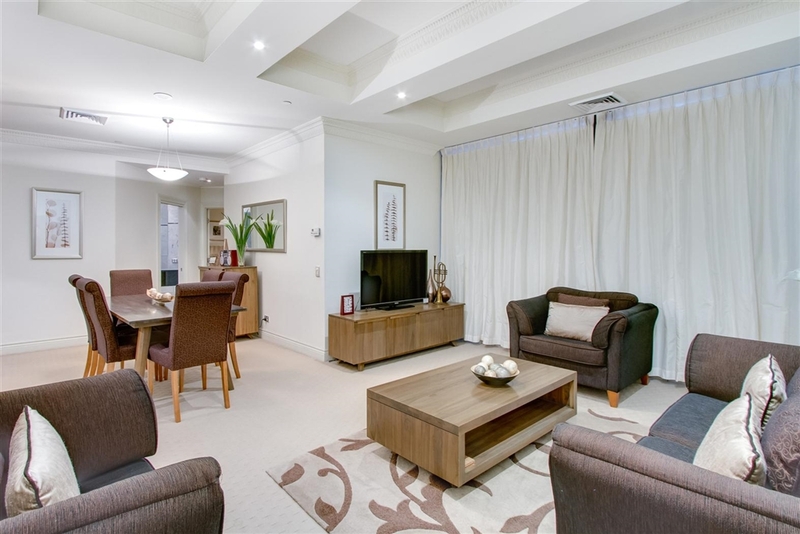 Our apartments are located in Brisbane CBD with easy access to transport (taxis, city cats, ferries, trains) restaurants, shops, casino and parks. Shopping, entertainment, cafes and restaurants are all on your doorstep. Our 4.5 star rated One-bedroom apartments feature separate study room, living/dining area, Queen-suite bathroom, full kitchen & laundry.Free WIFI. Onsite parking avail - fee applies. 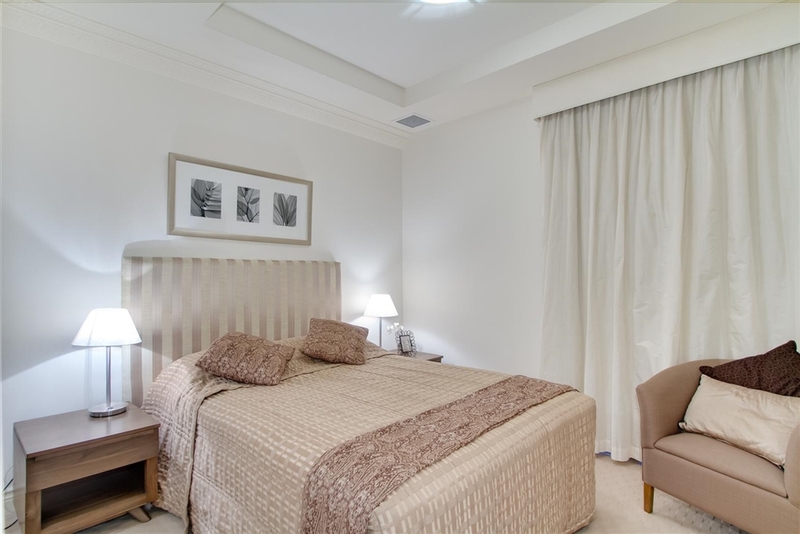 Our 4.5 star rated One-bedroom apartments offer private balconies, separate study room, living/dining area, Queen bed en-suite bathroom, full kitchen & laundry.Free WIFI. Breakfast vouchers included. Rates are for maximum 4 guests. Bedding configuration is 1 queen and 2 single beds, both rooms with ensuites or a second bathroom. Our well appointed 2 Bedroom Apartments feature two bathrooms, full kitchens & laundry, Queen/ Single size beds, separate living/dining & study areas. No air con in bedrooms. Our luxury 2 Bedroom Apartments feature two bathrooms, full kitchens & laundry, Queen/ King Single size beds, separate living/dining & study areas. Free WIFI and Breakfast vouchers included.